Music is all around us. The songs, tunes, lyrics follow us everywhere. For all the music lovers who love to escape in their favorite melodies, there is no better option than to draw the music. You can draw signs of musical notes without being a musician, you can draw music instruments like guitar or a drum, you can doodle your favorite lyrics or you can simply draw a earphone. 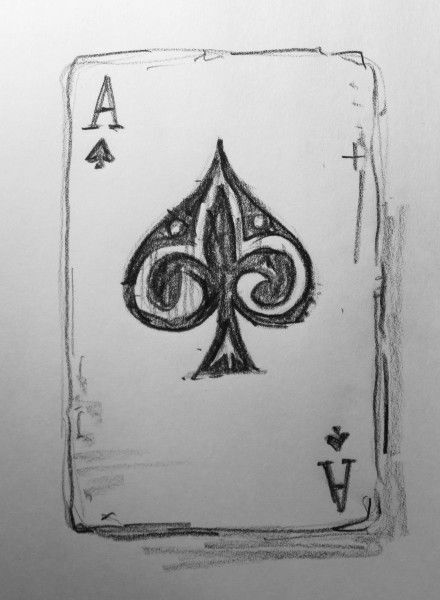 Lock and key have inspired many tattoo ideas with different variations. But, if you are drawing a pair of them, you can follow your heart and be as innovative as you can. This idea is very new and thoughtful. Mandala is a Sanskrit word that means a circle. But it is not just a circle, there are many patterns, forms and designs that are necessary for making a mandala. It is like mehindi patterns but there is always a circle in there. Apart from a circle, there are leaves, flowers and many other intricate designs involved in a mandala. They are very less rules and you can create with any pattern you like. Also drawing mandala improves our focus and minimizes stress. The human body have been drawn countless times but the part of the human body that captures most attention are a pair of eyes. 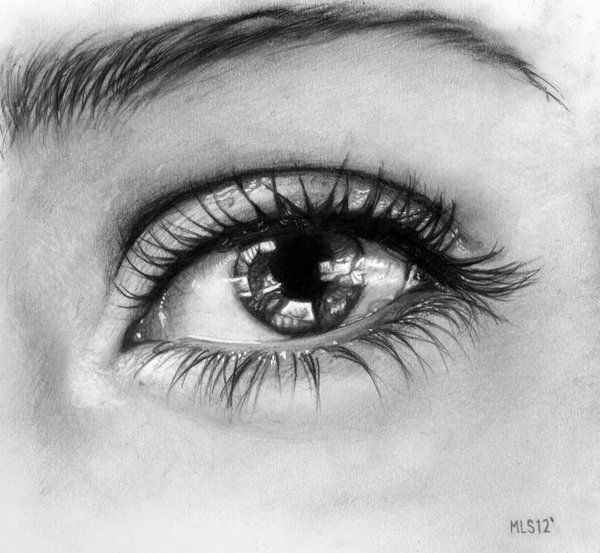 Eyes are drawn in various steps and the image itself speaks volume as if they are talking to us. We do need to be an expert to draw eyes, they are not too tough and once you have mastered the art of drawing a simple pair you can upgrade your level by drawing more realistic eyes or exact same pair of eyes. Drawing a vase is very ordinary. All you need to take care while drawing a vase is that the two sides have equal thickness and length and then it is a child play. After drawing the outline you can be artistic and shade them or add flowers or patterns. When in doubt, draw hearts. That can never get old because valentine day or not,its just almost like an instinct to pick up a pen and draw a heart. 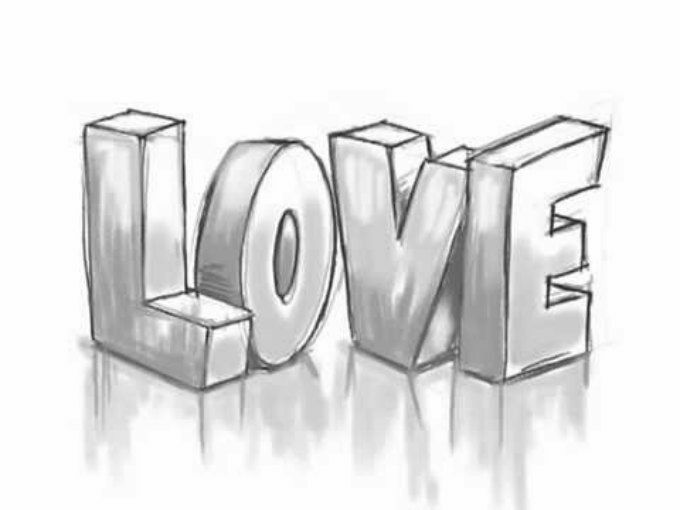 While drawing a heart you can be creative, you can add arrows, you can add initials of your loved ones, you can draw a broken heart or a locked heart. Just pour your heart out. After fruits what about a large burger, french fries and a cold drink. Well, I am not talking about eating but drawing, so if you cannot feed yourself with all this delicacies everyday you can surely draw them as often as you like with loads of fats and calories. You can draw pastries, cake, chocolates, popcorn, pizza everything that you like to eat but are scared to do so but there is no such restrictions on drawing so draw as you might eat. Doodle drawing might be one of the easiest possible ways to draw a picture. The fact that it is such a free-form method of drawing also takes away any fear of failure: doodling is the place where you can do no artistic wrong. Everyone can doodle, whether it’s rows of hearts and stars, or more involved scenes or shapes. 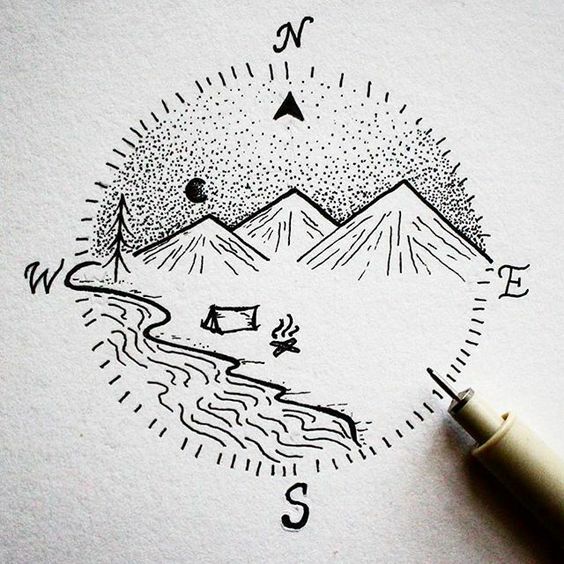 Not sure how to get started with doodling? This post offers some inspiration and different approaches to doodling that can enhance your drawing skills. Tree branches looks classy and it covers a wide area. If you want to make something without much thought and just see how the sketch will come after you are done than tree branches are the best. It can become more innovative by adding birds, nests, fruits, or even a tiny squirrel hole in the trunk. Are you fascinated by the underwater world? Do you like seeing marine creatures? If yes than you will love to draw an underwater scenery and let your imagination come alive. You can draw marine creatures like starfish, whales, or nemo, you can be as creative with the carol reefs as you want to or you can include a hidden treasure. There is so much excitement in exploring the underground world. Animals are simple creatures to draw. It does not take much effort to draw a cute little cat with it’s pointed whiskers or a doe-eyed dog. The criss-cross patterns of a zebra, a tall brown giraffe, a ferocious leopard, a restless monkey or a baby elephant, there are many options that one can pick from this category. Also, if you are not so sure about your skills than you can begin with drawing parts of an animal, for example- the sharp, deathly claws of a lion or the eyes of a chubby little panda. So draw any animal of your choice and let your imagination become alive in the jungle of your thoughts. The painting of a basket filled with fruits is seen by all of us. Drawing a fruit basket is the first thing we learned as a child that made us jumping in delight and saying “I can draw!” So reminisce about your childhood days and draw your favorite fruits. Does creating beautiful art while soothing stress at the same time sound like your idea of heaven? Mandalas are just the subject matter for you. While the finished mandala may look intricate and difficult to draw, it starts with drawing (or tracing!) a circle. From there, you divide the circle into quadrants and create symmetrical designs within the sections. The resulting piece is stunning, and as a benefit, mandalas are proven to aid in relaxation and stress reduction, so you’ll create great art and while unwinding. Learn how to draw a mandala with our step-by-step tutorial. This is for all the selfie addicts out there. As we all love to take pictures there is no less fun than picturing our handmade camera sketch! Draw a camera and capture the memory in your notebook. All you need to draw a camera is a rectangle and a circle( see geometric shapes). There are many different kinds of retro camera to draw. Leaves are an easy and rewarding subject matter for drawing. Simple cartoon-style line drawings of leaves are about as easy as sketching basic shapes; even a newbie artist can master simple leaf shapes in a short period of time. The recognizable shapes of leaves can then be filled in creatively, as you’ll see in this post. Realistic leaves are actually surprisingly simple to draw, too: as this tutorial shows, creating life-like leaves simply requires some observation and the ability to create leaf shapes that are slightly uneven to mimic how in nature, no two leaves are quite the same. Wings symbolizes freedom. It is an image that coveys many things about the soul. Drawing wings is not tough. There are many kinds of wings including fairy wings. Have you looked out of your window in the night sky and lost yourself in the twinkling of stars? If yes, then you will love to draw stars. To draw a star is very simple and there are different ways to draw them. There are 5,6,7 pointed stars, curved stars vertical stars and many others. After learning to draw flowers, tree branches and animals, there is only one place where you can compile all of it and that is the garden. So if you know how to draw any of the above start creating your dream garden that you will like to see every time you open the doors to your notebook. 3d drawings create the best optical illusion. It literally brings your sketches to life. As much hype is there about 3d drawing, some of them are not difficult to make. For example if you are making a triangle, you just need to add a bit shadow and it becomes 3d. 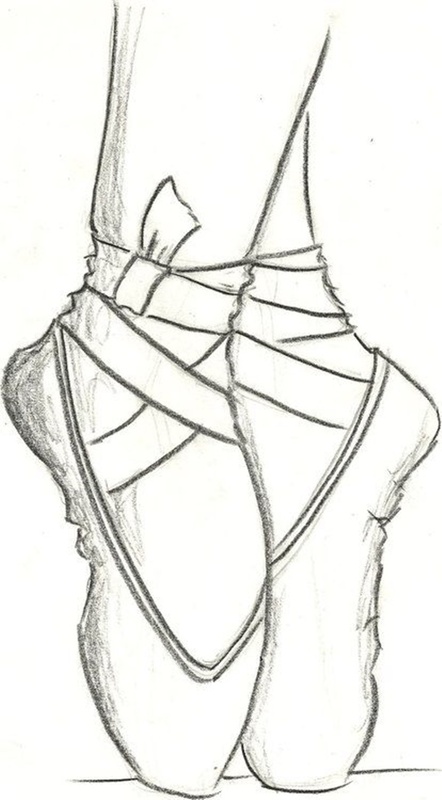 The east sketches while drawing 3d will be of a star, a vase, a staircase. You just need to consider the direction of the light and create a shadow. The shading part in itself is very easy. Hits and houses have been built from the evolution of mankind. 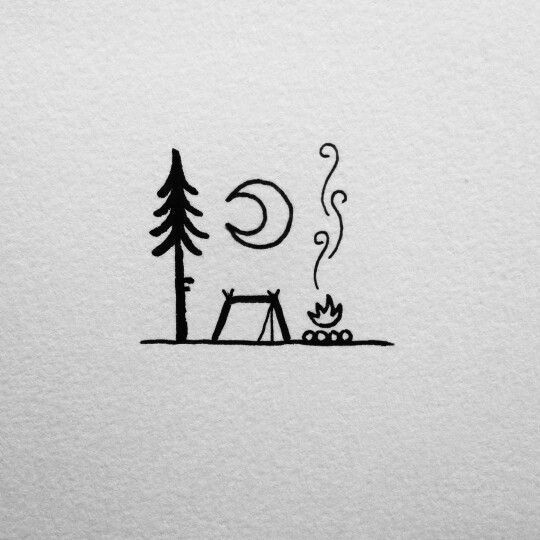 If you are finding it difficult to come up with an idea you can always draw a cute little hut with a door, two small windows and a chimney above. Cartoon animals are extremely easy to draw because you’re reducing an animal to the bare minimum of lines. You typically need just a few lines to create an adorable character. The simplicity allows you a chance to add adorable expressions, which results in coo-worthy cute creatures. There’s a long-term bonus, too: once you master a cartoonish method of creating animals, you’ll be better equipped with the skills to explore drawing animals in a realistic style. At first glance, paisley might seem like an impossibly complicated design to draw, better suited for advanced artists than newbies. However, this couldn’t be further from the truth. Paisley starts as a simple comma-like shape and then can be built into an intricate, impressive design in minutes. Our simple tutorial on how to draw paisley breaks it down into easy-to-follow steps and even offers tips for advancing and making the designs more complicated. 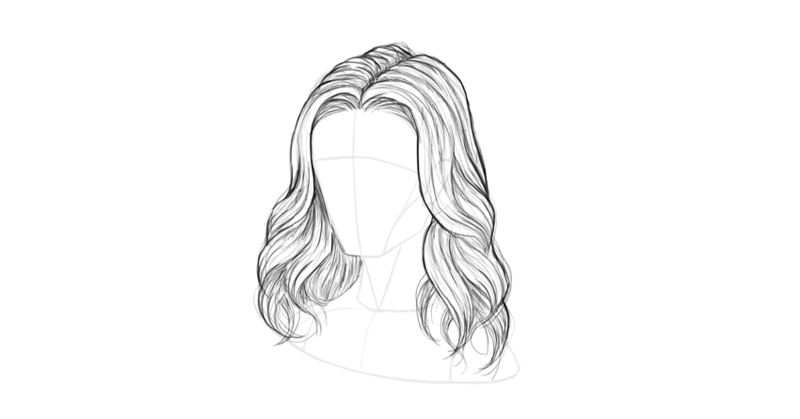 Check out our free tutorial on how to draw paisley in six steps. If you like the idea of drawing wings, you will also like to draw airplanes. Airplanes are super easy-peasy, just make sure that all the parts are intact and it is ready to fly. Landscapes and sceneries are very picturesque. They are a treat to see as mother nature provides us with such inspiring sights. To draw a landscape, one just needs a picture in her mind and the sketch will come up effortlessly. Geometric shapes are the most playful and simple forms of drawing. While learning all this shapes in our elementary classes, we did not know how much fun it can be if we draw them. The geometric shapes are also the basis of drawing anything you want to make. To make a dog, castle, house or even a human figure, we can learn step by step through this shapes. The circle, triangle, square, rectangle, pentagon, polygon and many other shapes helps us to improve our skills as well as to have fun placing them in different forms in our sketches. Flowers are the most easiest and common things to draw. The roses, tulips, orchids, require nothing more than a few petals and leaves. From a nursery kid’s drawing book to an art gallery, flowers give inspiration to all ages. Moreover it is quite simple to draw few flowers blossoming in the sunshine with their leaves fluttering in the wind. Also, flowers are base to learning many different art forms like mandala which is discussed later in the page. 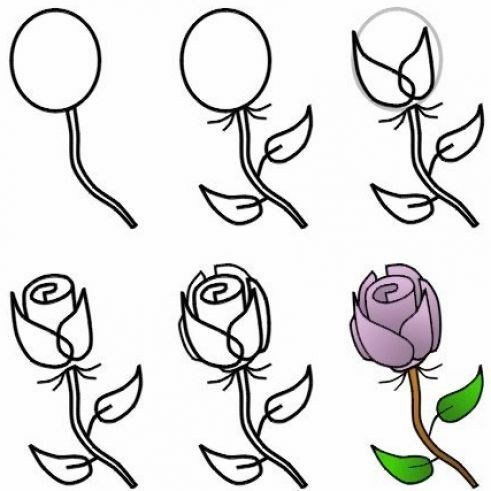 So, draw some flowers for learning basic skills and have fun with drawing different types of them. Drawing dices is also all about the geometric shapes. You just have to draw a cube and some small little circles. You can put any number that you want in it and you can draw any background for the board games like ludo, monopoly, anything. Drawing is just like any other activity: the more you practice, the stronger your skills will become. Practicing drawing straight lines is deeply boring. By drawing subjects that interest you, those skills will come in time, and in a more natural, organic way, as you develop a style at the same time. 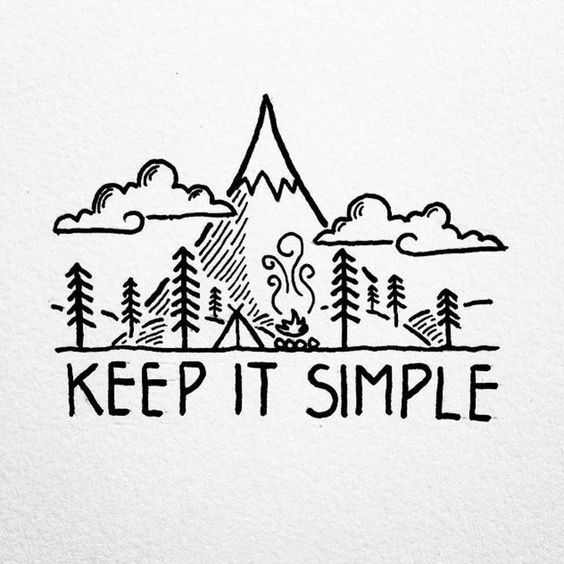 By simply drawing, you’ll learn what methods and styles work for you, and you’ll enjoy the journey. As a bonus, the more you do it, the stronger your skills and techniques will become. Pastries are a particularly fun type of food to draw. This post details step by step tutorials for how to draw cupcakes, doughnuts and more. Buildings and simple architectural structures are a great way to get started with drawing. Even complicated structures will usually have an element of symmetry and repetition in shapes or patterns; it’s just a matter of being patient enough to render them yourself. If adding perspective has you stumped, make it easier by using tracing paper — it’s not cheating at all. You’ll be amazed by the impressive structures you can render by simply following the “blueprint” of an architectural form! Cars, buses, autos, trucks, rickshaws, horse carriage or bicycles, there are too many options to pick if you are interested in drawing vehicles. Feathers are as effortless in drawing as they energy required in holding them. They are also very fun to make as you can draw them in various ways. You can make single feather and fill the inside with colorful patterns and designs or you can make feathers hanging from a dream catcher or you can make a peacocks feather. So, to draw feathers you require minimum effort and also it looks beautiful. Food is a fantastic subject matter for artwork: It’s universal, recognizable, appealing and, best of all, it will stay still if you want it to pose for you. Drawing food will also educate you on shapes and spatial relationships. This post on tips for drawing food will help you create recognizable, appetizing foods in your drawing. We all have that one notebook in which the last page is filled with all our little drawings and meaningless shapes and lines. All of us love to draw and we all are not born artists, but we do not need to be an artist to justify our love for drawing. Drawing is not merely an art form but it is very soothing and relaxing way of passing time. It is the pride that one experiences while creating his own work and it is the happiness in living life as careless as a kid. It is the medicine to cure our childish souls. It is a way of expressing oneself without saying anything. It is just a simple outlook to the complicated world we live in. 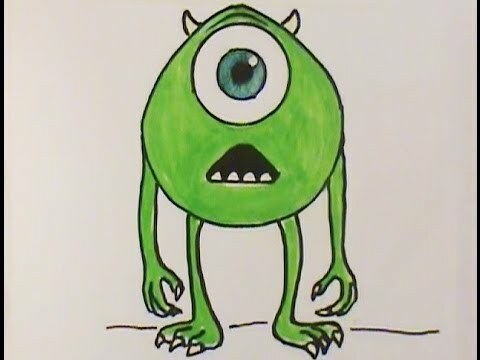 So to quench the thirst for the kid within us, there are some drawing ideas that are super easy and also fun to make. If you love to spoil the faces of celebrities in the magazines or if you love to draw funny pictures of your teacher or boss, then you should draw different expressions of human face. A smiley face. annoying face, defeated face or an angry face, just pick one up cheer your mood. Flowers are one of the most gratifying things to draw, because they are instantly recognizable regardless of whether your style is detailed and realistic or cartoonish and bubbly. Their non-linear, organic shapes also make them a very forgiving subject matter if you’re not completely confident in your skills yet. It’s an easy way to explore creating art with mixed media, too, as flowers are instantly inviting when color is added. Doodle is an amazing way of expressing yourself through art. There are no rules in doodling and you can scribble whatever you like. 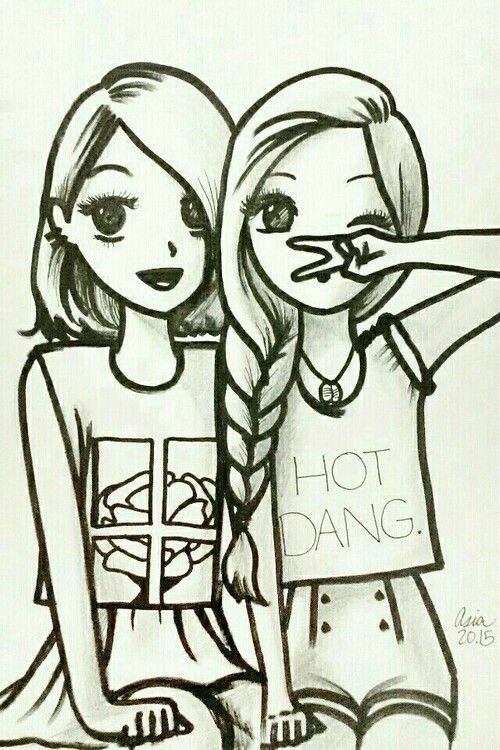 Just be crazy and passionate as no one dare judge doodles. If you have a brush and water colors, then paint the blue waves. Draw the waves crashing the shore of a beach, the waves around a ship or a boat or a surfer fighting the tides of high waves. So even drawing something as uncomplicated as waves, there are many variations. It also requires minimal thought, effort and colors to draw them. The world’s tallest, magnificent or oldest monuments was once only a sketch in a paper till it came alive in reality. To invent and create such masterpieces are not a cup of tea for everyone but we sure can immitate them and relish the beauty and skill of human hands. One can draw the simplified version of the Taj Mahal with all its glory and splendor. After drawing the white marble mausoleum, one can splash red color to the paper and build the mighty red fort. It is also simple to draw an Eiffel tower step by step. So throw some creativity and let the inner architect in you evolve. But why would anyone waste their time trying to draw a straight line when there are so many other interesting and easy pictures to draw? Hand gestures are great way of improving your drawing skills. They are not so easy but with a fair amount of practice, many different kinds of hand gestures can be drawn. 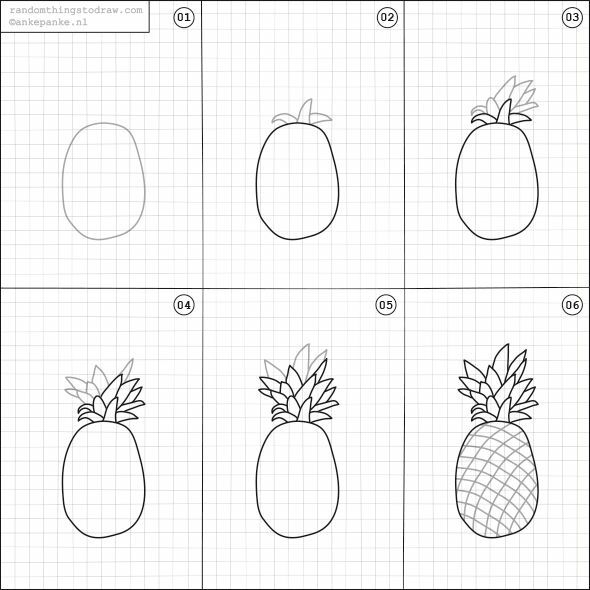 These easy-to-draw pictures will help you build confidence in your drawing, and explore techniques while creating artwork which is gratifying and recognizable. These are just a starting point — if you’d like even more easy drawing ideas, check out this free downloadable with 100+ prompts! Drawing an entire character might seem daunting, but you can get your feet wet by exploring faces and expressions. 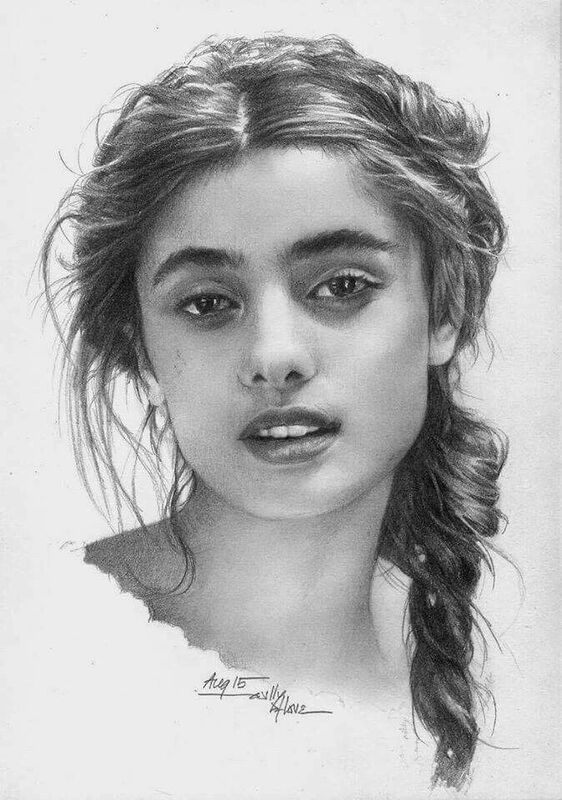 After just a little practice, you’ll be amazed at the variety of emotion that you can convey with simple lines and subtle variations on placement and angle of eyes, brows and lips. This post offers specific tips for trying out different expressions in an easy-to-master way. Most of the cartoon characters are animals with the ability to speak and entertain us. For instance- Tom and Jerry, chasing each other and making us laugh hard with their antics, Scooby-dog accompanying his friends on adventures, Doremon with his pocket, Garfield, Mickey Mouse, Winnie the pooh and many others. So once you have learned how to draw animals, you can soar up your creativity by drawing your favorite cartoon characters. You can also create your own pokemons and trap them forever in your book. Also, there are many easy human cartoon characters to draw like Phineas and Ferb, Mr. Bean and many others. There is also Spongebob Sqaurepants, which is one of the most funniest and laid-back character ever created in history. Even if you’re a beginner, trees are a cinch. It’s hard to go wrong because there are so many types of trees and so many ways to portray trees that are recognizable. Whether it’s a simplified triangle turned into a Christmas tree or a cloud-like puff atop simple linear trunks, trees are accessible to artists at any level.